Thats all. Game finished - Eintracht Frankfurt 1, FC Augsburg 3. Second Half ended - Eintracht Frankfurt 1, FC Augsburg 3. Missed chance. Konstantinos Stafylidis - FC Augsburg - shot with left foot from long distance on the left missed. Assist - Michael Gregoritsch. Missed chance. Luka Jovic - Eintracht Frankfurt - shot with left foot from the centre of the box goes high. Assist - Mijat Gacinovic with a through ball. Missed chance. Michael Gregoritsch - FC Augsburg - shot with left foot from the centre of the box is high and wide to the left. Assist - Jonathan Schmid. Substitution - FC Augsburg. Christoph Janker for Ja-Cheol Koo. Daniel Baier - FC Augsburg - won a free kick in attack. Konstantinos Stafylidis - FC Augsburg - won a free kick in defence. Konstantinos Stafylidis - FC Augsburg - won a free kick in attack. Missed chance. Filip Kostic - Eintracht Frankfurt - shot with left foot from the left side of the box goes high after corner. Shot blocked. Luka Jovic - Eintracht Frankfurt - shot with the head from the centre of the box is blocked. Assist - Jonathan de Guzmán with a cross. Corner - Eintracht Frankfurt. Conceded by Konstantinos Stafylidis. Missed chance. Marco Richter - FC Augsburg - shot with the head from the centre of the box is very close to the goal. Assist - André Hahn with a cross. Goal! Eintracht Frankfurt 1, FC Augsburg 3. Michael Gregoritsch - FC Augsburg - shot with left foot from outside the box to the left corner. Assist - Daniel Baier. Offside - FC Augsburg. André Hahn with a pass, however Julian Schieber is in offside. Substitution - FC Augsburg. Julian Schieber for Alfred Finnbogason. Jeffrey Gouweleeuw - FC Augsburg - won a free kick in defence. Rani Khedira - FC Augsburg - won a free kick in defence. Shot blocked. Luka Jovic - Eintracht Frankfurt - shot with left foot from the centre of the box is blocked. Corner - Eintracht Frankfurt. Conceded by Alfred Finnbogason. Missed chance. Mijat Gacinovic - Eintracht Frankfurt - shot with right foot from outside the box missed to the left after corner. Missed chance. Ante Rebic - Eintracht Frankfurt - shot with the head from the centre of the box missed. Assist - Filip Kostic with a cross after corner. Corner - Eintracht Frankfurt. Conceded by Jeffrey Gouweleeuw. Offside - FC Augsburg. Jeffrey Gouweleeuw with a pass, however Marco Richter is in offside. André Hahn - FC Augsburg - won a free kick in defence. Corner - Eintracht Frankfurt. Conceded by Rani Khedira. Shot blocked. Ante Rebic - Eintracht Frankfurt - shot with right foot from the centre of the box is blocked. Assist - Mijat Gacinovic with a head. Missed chance. Marco Richter - FC Augsburg - shot with right foot from the centre of the box is close, but missed. Assist - André Hahn. Substitution - Eintracht Frankfurt. 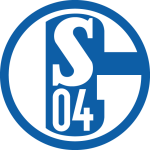 Jonathan de Guzmán for Sebastian Rode. Michael Gregoritsch - FC Augsburg - won a free kick on the right wing. New attacking attempt. André Hahn - FC Augsburg - shot with right foot from outside the box is saved by goalkeeper in the centre of the goal. Assist - Marco Richter with a cross. Missed chance. André Hahn - FC Augsburg - shot with right foot inside of six yard box - left side missed. Missed chance. Alfred Finnbogason - FC Augsburg - shot with right foot from the centre of the box missed to the left. Assist - Marco Richter with a cross. Offside - FC Augsburg. Ja-Cheol Koo with a pass, however Alfred Finnbogason is in offside. Missed chance. Marco Richter - FC Augsburg - shot with right foot from the centre of the box goes high. Assist - Jonathan Schmid. New attacking attempt. Luka Jovic - Eintracht Frankfurt - shot with the head from the centre of the box is saved in the right corner. Assist - Filip Kostic with a cross. Shot blocked. Ja-Cheol Koo - FC Augsburg - shot with left foot from few metres is blocked. Assist - André Hahn. Missed chance. Luka Jovic - Eintracht Frankfurt - shot with right foot from the centre of the box missed. Assist - Filip Kostic following a fast break. Substitution - Eintracht Frankfurt. Mijat Gacinovic for Gonçalo Paciência. Shot blocked. Alfred Finnbogason - FC Augsburg - shot with right foot from the centre of the box is blocked. Assist - Jonathan Schmid with a cross. Corner - FC Augsburg. Conceded by Evan Ndicka. Missed chance. André Hahn - FC Augsburg - shot with right foot from the right side of the box goes high. Assist - Michael Gregoritsch. Offside - Eintracht Frankfurt. Danny da Costa with a pass, however Ante Rebic is in offside. Missed chance. Marco Richter - FC Augsburg - shot with right foot from the left side of the box goes high. Assist - Konstantinos Stafylidis with a cross after corner. Corner - FC Augsburg. Conceded by Almamy Touré. Offside - Eintracht Frankfurt. Sebastian Rode with a pass, however Gonçalo Paciência is in offside. Second yellow card to Gelson Fernandes - Eintracht Frankfurt - for a foul. Jonathan Schmid - FC Augsburg - won a free kick on the right wing. Second Half starts Eintracht Frankfurt 1, FC Augsburg 2. First Half ended - Eintracht Frankfurt 1, FC Augsburg 2. Goal! Eintracht Frankfurt 1, FC Augsburg 2. Marco Richter - FC Augsburg - shot with left foot from outside the box to the right corner. Assist - Ja-Cheol Koo. Missed chance. Ante Rebic - Eintracht Frankfurt - shot with right foot from the right side of the box goes high. New attacking attempt. Michael Gregoritsch - FC Augsburg - shot with left foot from outside the box is saved in the top centre of the goal. Assist - André Hahn. 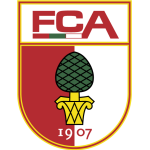 Michael Gregoritsch - FC Augsburg - receive yellow card. Ja-Cheol Koo - FC Augsburg - won a free kick in defence. Offside - FC Augsburg. Michael Gregoritsch with a pass, however André Hahn is in offside. Offside - FC Augsburg. Marco Richter with a pass, however Ja-Cheol Koo is in offside. Michael Gregoritsch - FC Augsburg - won a free kick in defence. Substitution - FC Augsburg. Andreas Luthe for Gregor Kobel - injury. Delay in match Gregor Kobel - FC Augsburg - - injury. 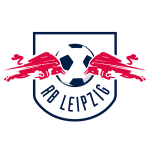 Delay in match André Hahn - FC Augsburg - - injury. Missed chance. Evan Ndicka - Eintracht Frankfurt - shot with the head from the centre of the box missed to the left. Assist - Filip Kostic with a cross . New attacking attempt. Luka Jovic - Eintracht Frankfurt - shot with the head from the centre of the box is saved in the left corner. Assist - Filip Kostic with a cross. Corner - Eintracht Frankfurt. Conceded by André Hahn. Goal! Eintracht Frankfurt 1, FC Augsburg 1. Marco Richter - FC Augsburg - shot with right foot from the centre of the box to the left corner. Assist - Michael Gregoritsch. Missed chance. Gonçalo Paciência - Eintracht Frankfurt - shot with left foot from the centre of the box missed. Assist - Ante Rebic. Delay in match - FC Augsburg Video Review. Gregor Kobel - FC Augsburg - won a free kick in defence. Shot blocked. Filip Kostic - Eintracht Frankfurt - shot with left foot from the left side of the box is blocked. Assist - Gonçalo Paciência. Substitution - Eintracht Frankfurt. Evan Ndicka for Martin Hinteregger - injury. 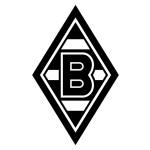 Delay in match Martin Hinteregger - Eintracht Frankfurt - - injury. Offside - Eintracht Frankfurt. Luka Jovic with a pass, however Filip Kostic is in offside. Shot blocked. Luka Jovic - Eintracht Frankfurt - shot with right foot from outside the box is blocked. Assist - Ante Rebic. André Hahn - FC Augsburg - won a free kick on the right wing. Offside - FC Augsburg. André Hahn with a pass, however Alfred Finnbogason is in offside. Goal! 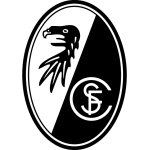 Eintracht Frankfurt 1, FC Augsburg 0. Gonçalo Paciência - Eintracht Frankfurt - shot with the head from the centre of the box to the top left corner. Assist - Filip Kostic with a cross. Ja-Cheol Koo - FC Augsburg - won a free kick in attack. Ja-Cheol Koo - FC Augsburg - won a free kick on the right wing. New attacking attempt. Luka Jovic - Eintracht Frankfurt - shot with right foot from the centre of the box is saved by goalkeeper in the centre of the goal. Missed chance. Luka Jovic - Eintracht Frankfurt - shot with the head from the centre of the box is very close to the goal. Assist - Danny da Costa with a cross. Offside - FC Augsburg. Rani Khedira with a pass, however Alfred Finnbogason is in offside. Daniel Baier - FC Augsburg - won a free kick in defence. 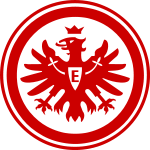 Get real-time football commentaries and full coverage for the Bundesliga match Eintracht Frankfurt vs. Augsburg, powered by Scorenga.co.uk. This page is dedicated to one of the most exciting Bundesliga clashes. Here you will find a summary of the game, standings and photos.